If the rumors are true, Facebook will be debuting its own e-mail service on Monday, Nov. 15th. If this truly is what their invitation-only event is about that day, be prepared for an endless onslaught of “Gmail Killer” headlines to hit the Internet. Oh, and probably the nastiest fight we’ll ever see between two giants of the tech world. Back in Feb. of this year rumors began to circulate that Facebook had been working on something codenamed “Project Titan“. The rumblings about this said that it was an e-mail system for the gargantuan social network that would feature POP and IMAP support, and that internally Facebook employees were referring to it as “a Gmail killer”. The invitation sent out for the Monday event is designed to look like an envelope which just about everyone feels is a strong enough hint of what will be unveiled at that time. Add in the fact that Paul Buchheit, who created Gmail, has been working at Facebook up until very recently, and it seems that things are definitely pointing to this product finally launching. It might also explain the recent skirmish where Google said no service could import contacts from them without making it a two-way street, effectively shutting off access to Facebook. When this news first popped up, I wrote a post asking if we really need Facebook as our email provider. I stand by everything I said in that post, but with eight months to think it over some more … I’m even more against it. Facebook is trying desperately to become the Internet. You can of course say the same about Google, but where Facebook started creeping me out was when it launched the personalization features that greet you when you go to other sites, telling you what your friends have read and liked. The creep factor of that product alone made me decide to not give the company any more of my information that was absolutely necessary to maintain my account. The concept of now moving my e-mail communication to them is just way past my comfort level. This company wants to be the absolute center of your life and is well on its way with having become the largest photo sharing service and events planner. If we now hand over one of the oldest staples of online communication, we’re basically giving them the world. Also, think about the reputation Facebook is getting in the world at large. It’s seen as some place you go to goof off, post silly photos and tend to virtual farms, do you really want to put down “@facebook.com” as your serious e-mail address? Even if this product doesn’t launch on Monday (we really think it is), it is coming eventually. Be prepared for an all out war for your e-mail business, but think carefully about which you choose. What say you? 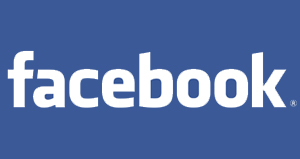 Will you migrate to a Facebook e-mail account?